Michael Hofmann’s prodigious new collection, One Lark, One Horse (Faber & Faber, 2018), is the perfect antitoxin to these poisonous presumptions, and it further heralds the return of one of British poetry’s most brilliant talents following an equally monumental 20-year silence. After all, it was a silence which had once been nearly unthinkable. 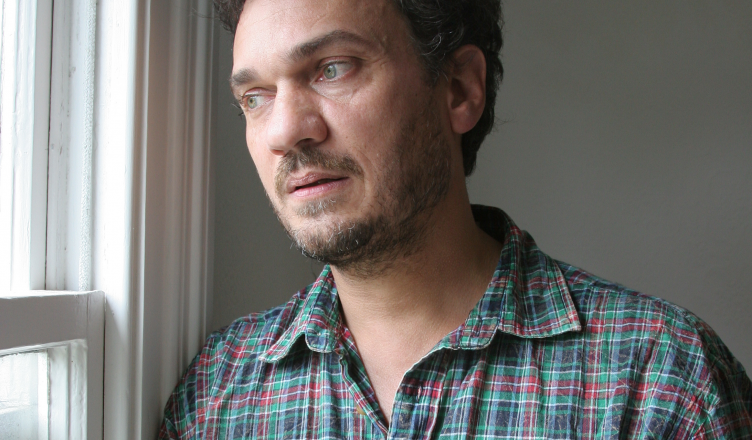 Publishing his acclaimed debut Nights in the Iron Hotel (1983) at 26, Hofmann’s fame was quickly assured with his follow-up Acrimony (1986), which skewered London’s consumerist culture during Margaret Thatcher’s austerity years, chronicling life in a city whose surfaces were ‘friable, broken and dirty, a skin unsuitable / for chemical treatment,’ where ‘Arsenal boot boys’ stomped the pavements, trapped in an ‘economy stripped to the skin trade’. British critics further quivered in apprehensive excitement at Acrimony’s ‘My Father’s House,’ a sequence of nineteen poems where Hofmann employed his cutting, often rueful tone to lay bare his contentious relationship – and rivalry – with his father, the German novelist Gert Hofmann. The sequence later formed the basis of a documentary famously broadcast on BBC Two’s Bookmark series in 1990. In fact, Hofmann was such an undeniably inescapable presence in British poetry in the 1980s and 1990s that it led Mick Imlah, later the Times Literary Supplement’s poetry editor, to jest that he’d written an imaginary travel poem entitled ‘At the Grave of Michael Hofmann’. To the British, Hofmann had given a distinctly pan-European twist to their kitchen sink realism, while displaying an absolute mastery of their language, perhaps sometimes to their chagrin. The Hofmann legend was thus born and for a good while it appeared to keep pace with his Stakhanovite productivity: he was a placeless prodigy – was he British or was he German, or something else entirely? – a poet who was already on his third book by the time most of his peers were still struggling with their first. To top it off, rumour had it that he translated a book a night – in his sleep, surely, an ability which might have helped to explain his impressive bibliography: over seventy translations of fiction, non-fiction and poetry from German in roughly thirty years, a roster that included Franz Kafka, Joseph Roth, Wolfgang Koeppen, Hans Fallada and Gottfried Benn. Then, it all came to an abrupt stop. A fourth volume, Approximately Nowhere (1999), ended with the poem ‘Litany’, which chronicled Hofmann’s ‘months of transition’ in London before the poet moved in with a new lover, at which point, it seemed to many, he simply vanished. Save for the occasional, cherished exception, his name mostly disappeared from poetry magazines, and as his silence grew more prolonged, his poems transformed into prized artifacts, prompting George Szirtes to call them ‘rare, strange, much valued’ items by the time Faber & Faber and FSG put out a Selected Poems in 2008. Translation after translation followed, but Hofmann’s admirers – myself among them – were forced to wait, holding out hope he would one day return. thinking with his knees and rubber-tired Viennese Fiaker. The years when the dead are starting to stack up. and neither knowing nor especially caring which. Admirers of Hofmann’s earlier poetry will find much to their liking here that hasn’t changed: the oblique literary references, the insertion of non-English languages, and the penchant for Mitteleuropa’s Kakania, which also doubles as an acknowledgement to the period of time that has chiefly consumed his energies as a translator. However, the dichotomous figure of Franz Josef, the last Habsburg Emperor, also serves as a symbol of Hofmann’s uncertainty as he sits astride his own uncertain steed, one leg in the past, the other in the future. Just like Franz Josef, drawn along the streets of the Austro-Hungarian capital in a ‘rubber-tyred’ horse-drawn cab, the speaker is a living anachronism struggling in a world determined to doom him to irrelevance. Though much feels familiar, there is no ‘mimicry’ here; rather, we see developments that have been two decades in the making. 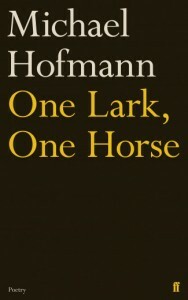 Hofmann’s perfectly engineered quatrains that fit neatly on a single page have been replaced by longer poems with more expansive lines – and the pleasing repetition of ‘The years of’ produces an incantatory music that now sings unstifled by the constraints of his pithiness, like the lark of his title. While Hofmann’s earlier volumes made a point of their geographical specificity – Nights in the Iron Hotel and Acrimony were largely set in Britain, with occasional forays into his father’s Germany, or Austria, or even the former Yugoslavia, and Hofmann’s third book Corona, Corona (1993) featured a lengthy section set in Mexico – his fourth has now launched him into full-blown homelooseness. While Acrimony depicts a child who routinely calls ‘Bruce’s record shop / Just for someone to talk to’ and to unwittingly improve on his ‘first ever British accent’ in order to engineer his ‘own birth in the new country’, One Lark, One Horse shows Hofmann giving up on his extended passport applications, to borrow from the author’s own outlook on his early poems and is growing resigned to being nationally unmoored. Despite Hofmann’s time-honoured penchant for squeezing every possible ounce of lyricism out of feeling adrift, One Lark, One Horse also exhibits the poet revelling in the very rootlessness which had once caused so much angst. ‘Bundaberg. Somewhere I’d no reason to be’ he writes in ‘Recuerdos de Bundaberg’, ‘Anywheresville, as in miles from. / No dot on a marconigraph, semicolon, on no radar single ping. / Or if there was, then just a ping singing to itself’. Not long later, he’s in London, where he realises he owns ‘Books in four countries, / The same books’, before moving on to Tartu and Tallinn in Estonia and Switzerland’s Valais – where ‘Poplars were planted en passant by Napoleon’s Grande Armée’. Later, he moves on to Germany’s Baltic Sea Coast and Hamburg’s Sankt Georg quarter, where Hofmann charts the neighbourhood’s recent history through its gentrification. It is gratifying to see a book of poems live up to its title – inspired by an old recipe for lark pâté: half lark, half horse. This long-awaited collection is a singular, delicate concoction that is simultaneously muscular and humbly energetic. Although middle-aged melancholy abounds in this volume – one must ‘listen to one’s bones’, as the Moroccans say – it is also deeply emotionally affecting, and Hofmann here attains a higher level of formal inventiveness and variety than in his previous volumes. Its cosmopolitan breadth is instantly infectious, and it seems quite clear to me that this is the perfect moment for Brexit Britain and Trump’s America to reacquaint themselves with Michael Hofmann’s work, both what he produced in the 1980s and 1990s – his Acrimony is now eerily relevant – and what he has done since. It would be a fitting reward for a poet who’s never balked at taking risks. Hofmann’s reputation is such that he could have easily churned out ‘mimicries’ of his earlier work and been praised for it. We should all be grateful that he didn’t. André Naffis-Sahely’s first collection is 'The Promised Land: Poems from Itinerant Life' (Penguin, 2017). 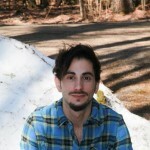 He has translated over twenty titles of fiction, nonfiction, and poetry from the French and the Italian, including works by Honoré de Balzac, Émile Zola, and Alessandro Spina.